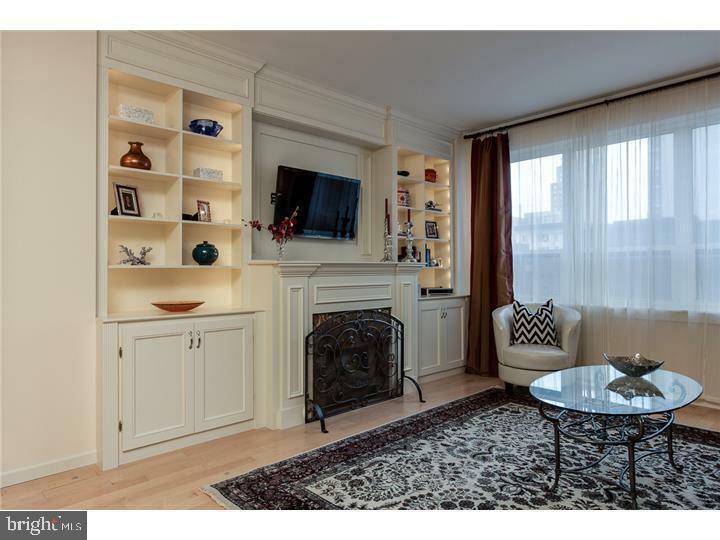 Stylishly upgraded designers condo with much desired den space. Light hardwood floors throughout, kitchen has GE profile stainless steel appliances, glass tile backsplash, pass through breakfast bar, gas range, under cabinet lighting, and more. Living room is complete with LED lit bookshelves, custom FIREPLACE, and perfect entertaining space. Bedroom has corner view facing north and west with windows lining both sides and large walk in closet. Oversized bathroom is outfitted with light marble. Ample closet space throughout. The Aria is a full service, concierge building with 24 hour security, fitness center, owners lounge, guest suite, business center, pet spa, dog run, and more.